Energy efficiency investments can pay for themselves by increasing the value of buildings and plants. Energy efficient buildings and plants enjoy lower operating costs and better financing terms, and energy efficient commercial real estate properties have been shown to command higher rents. Read on to learn more about the financial value of energy efficiency. Kimberly Clark invested $350,000 to retrofit one of their fabric mills with LEDs. A utility rebate brought their cost down to $257,000. The project yielded energy savings of $160,000 annually, paying for itself in just over 1.5 years. Read more. Installing occupancy sensors throughout a building cost one ENERGY STAR partner $28,400 and yielded total first-year savings of $89,200—a four-month payback period. In search of low-hanging fruit, one ENERGY STAR partner invested $70,000 in various efficiency measures for its HVAC system and chilled water plant. These projects yielded $426,000 in total savings in the first year, paying for themselves within two months. Corning identified nearly 60 air leaks in one of their plant’s compressed air systems. They expect that an investment of an estimated $166,600 will $85,400 per year. Read more. While new technologies and renewable energy sources are on the rise, energy efficiency remains the single most cost-effective way to cut energy use in buildings. interest-only periods) and lower interest rates (typically about 30 - 35 basis points) than similar non-labeled buildings. 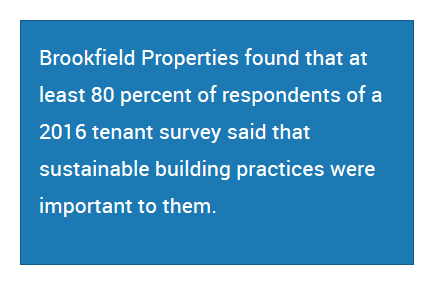 Studies show that ENERGY STAR certified office buildings command higher rental rates and have higher occupancy rates. The table below summarizes the results of six such studies. Hard numbers aside, ENERGY STAR can create additional competitive advantages. The ENERGY STAR mark is one of the most influential consumer emblem in the nation, with 92 percent of survey respondents reporting that they use it in their decision-making. That’s just one of the reasons why tens of thousands of organizations—including half of the Fortune 100®--work with ENERGY STAR to improve their properties’ energy performance. Their customers, tenants, and employees are paying attention.